The photocopying machine: that chunky, clunky, problem-fraught tower of plastic, is slowly losing its status as the office centerpiece. More reliable multifunctional printers have played their part in displacing this staple of the business world, but so too have software services that can take care of scanning, copying and so much more. 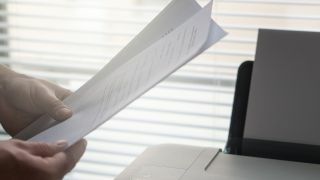 The opportunity to reduce paperwork and increase productivity has created a sizeable market for scanning software, and with so many tools of this nature proliferating in recent years, we’ve rounded up the best of the bunch to help you choose which would be most suitable for your organization. From powerful, enterprise-focused Adobe platforms to pick-up services perfect for small businesses, check out the very best of the document scanning and converting world below. We took into account available features, relative costs, professional reviews and user experiences in making our recommendations for the best scanning software. Abbyy is responsible for a number of enterprise-oriented software tools and among them is its platform for document scanning, FineReader. This software lets you edit, review, protect, compare and convert PDFs and scans. The editing feature allows you to comment and annotate your PDF, making it perfect for collaboration. Compare, meanwhile, helps you identify text changes between different versions of the same document, saving time on proofreading and back-checking. FineReader calls its OCR (optical character recognition) technology ‘world-leading’ no less, promising accurate conversion of paper documents, scans and PDFs to Word, Excel, searchable PDFs, and other file formats. If you’re dealing with scanning on a large scale, the Hot Folder feature is on hand to help schedule batch processing and track documents for conversion with ‘watched’ folders. FineReader can recognize a whopping 192 languages, so you should be covered no matter where your documents are coming from. Prices start with the Standard software at $199 (£156), and it includes a perpetual license. PaperScan takes the approach of upgrading your scanner’s software to a more robust solution to get the most out of the device. After all, while most scanners ship with software, the manufacturers too often focus on building the hardware, relegating the software to more of an afterthought. The current version is PaperScan 3.0.77, which comes with plenty of features including support for over 30 languages, optical character recognition (OCR), and the ability to manipulate PDFs (such as annotating them with sticky notes). PaperScan offers a free tier if you just need basic scanner functionality. Move up to the Professional tier which supports scanning, OCR, annotations, and PDF compressions for $149 (£117) for a single license. If there’s a software company that knows how to handle a document or two, it’s Adobe, and when it comes to PDFs, you’re in safe hands with Acrobat DC ,which stands for ‘Document Cloud.’ After all, just about everyone has used Adobe Acrobat Reader for opening a PDF at some point. The platform allows you to create PDFs from just about everywhere: Microsoft Office applications, the camera of your phone when you’re out and about, HTML pages, and even from disparate emails, spreadsheets and documents which can be merged and organized into a simple PDF file. Key features include passwords and permission for added security, standardized templates to keep your documents consistent in style, the ability to edit and annotate both normal text and data in tables, a comparing tool to identify differences between different versions of the document, and ‘reverse’ conversions from PDF to Word, Excel and PowerPoint. Storing all these converted files is made easier too, thanks to integrations with Dropbox, OneDrive and Box. With Adobe Acrobat, scanning your document really is just the beginning, but the caveat with this platform, like so many Adobe tools, is that it doesn’t come cheap. For businesses, prices start at $12.99 (£10) per person per month for the Acrobat Standard DC plan, on an annual subscription. Another key player on the enterprise productivity scene is Nuance, and which brings its scanning tech to the market via OmniPage Standard. OmniPage Standard’s OCR technology takes care of scanning all types of documents in quick and efficient fashion, “enabling you to focus on more rewarding tasks,” it says. Anyone who’s ever had to go through the drudgery of typing up a whole document to make it ‘digitally’ usable will know where they’re coming from. The platform promises high quality conversions that maintain the features of the original document – columns, tables, bullets, graphics and all. It also supports a wide range of editing platforms, including Word, Excel, PowerPoint, Corel, Wordperfect, and Nuance’s own Power PDF tool. Conveniently, Omnipage can process via a whole range of devices that capture text as an image, so if your phone, tablet or camera is at hand, you can scan, convert and manage your files on the move. This accomplished scanning all-rounder app will set you back $149.99 (£117). Docufree works a little differently from the scanning services we’ve seen so far by physically picking up the documents you want scan and taking care of the dirty work for you. This outsourcing approach is used by a number of top corporations, including Applebee’s, ExxonMobil, Bose and Travelocity. How exactly does it work? You place the documents you want scanned in a box, which the Docufree team picks up and takes to their conversion center. Here, they prepare and scan the docs to PDFs and TTFS, perform OCR character recognition if needed, and store the converted files digitally and online for you. They’ll return the original documents if requested, or shred them for you, offering the attractive option of removing endless boxes of paperwork. If you’re inundated with documents each day, you can opt for the day-forward scanning service where Docufree collects your documents as they arrive in the post each day. Users can also take advantage of the free online account that comes with the service, allowing you to access and review documents as they’re converted and track the status of a scanning project. With Docufree you pay by the box which has a fixed price no matter the number of documents. Contact is required in order to get a quote. Now on version 17, Readiris is a scanning tool that captures and converts your documents to editable files thanks to its OCR technology. The service enables you to convert PDFs, pictures and texts from an image or scanned doc into Word, Excel, Powerpoint or an indexed PDF. Keeping pace with its higher-level competitors, Readiris also allows you to annotate files and make comments, making the platform suitable for collaboration in the process of scanning and converting. Its audio capabilities are pretty handy too, as documents and books can be converted into MP3 and Wav files, enabling you to digest texts without even having to read them. You can record voice comments too, removing the reading and writing process of editing altogether if preferred. Readiris 17 comes in three packages, with a $49 (£38) service at the lowest end of the scale and Readiris Corporate 17 at the top, priced at $199 (£156) with a 30-day money-back guarantee. Sounding like a pretty fun if slightly nerdy Nintendo game, Data Dash operates in the same manner as Docufree, picking up or receiving your files in the mail then digitising them as you wish, with a reported 99.5% accuracy. Claiming to be the “first fully functional online PDF solution”, Soda PDF is a very comprehensive service, enabling you to create PDFs from more than 300 file formats, convert to various file types, edit and annotate files, create custom forms, and send and track contracts for electronic signature. ScanSpeeder, meanwhile, specializes in photos, allowing you to bring your precious prints into the digital world. Start with your own flatbed scanner than allow ScanSpeeder to sort, archive and safely store. VueScan is on a mission to save old scanners by creating drivers for aging machines so you can keep using the scanner you have. No more throwing hardware away when manufacturers stop releasing drivers! Focusing on mobile scanning, CamScanner allows your iPhone or Android device to scan, enhance and share documents with just a few taps of your phone. It also includes many of the editing and annotation features of its desktop counterparts listed above.